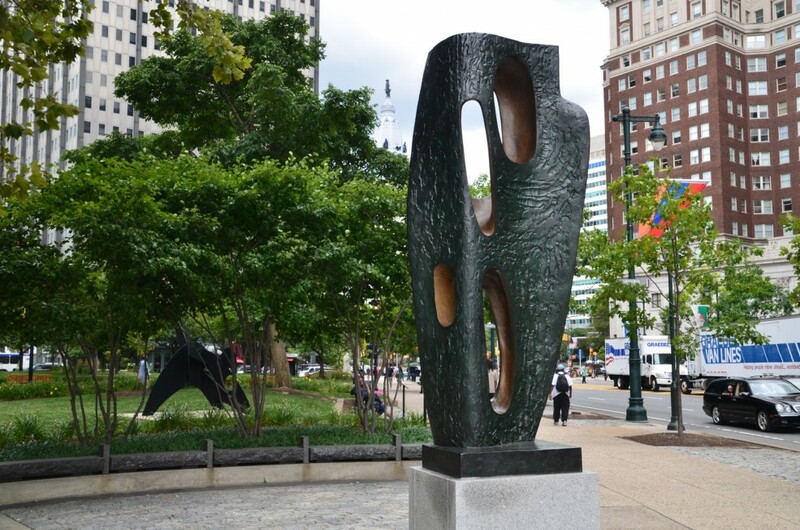 Thanks to aPA’s leadership, Philadelphia now boasts one of the most artistically and historically significant collections of public art in the U.S. People from all backgrounds have access to this fascinating “museum without walls” – on the street, at any time, for free, without a ticket. 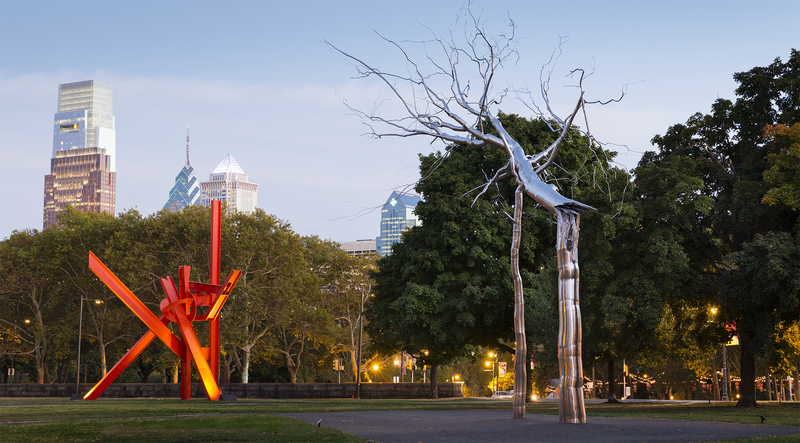 Mark di Suvero’s Iroquois (left) and Roxy Paine’s Symbiosis (right), both acquired and installed by the Association for Public Art. Photo James Ewing Photography © 2014. 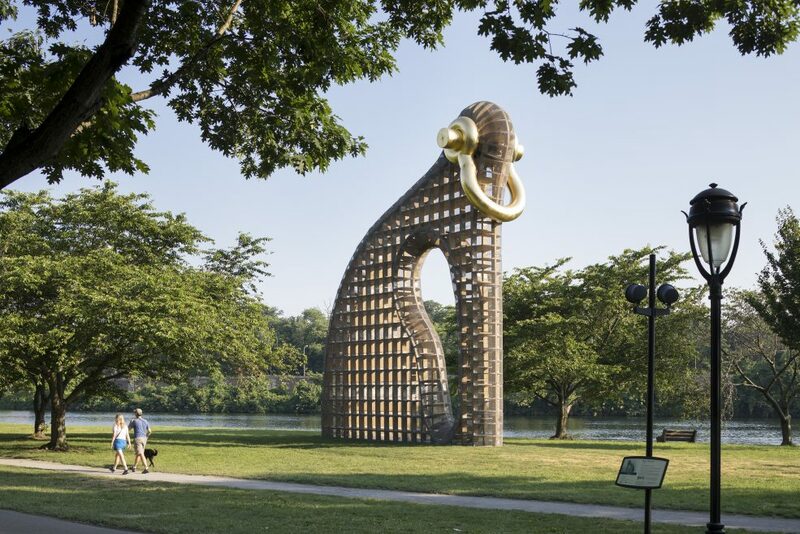 >> All donations benefit our mission to commission, preserve, interpret, and promote public art in Philadelphia, and are tax-deductible to the extent allowable by law. 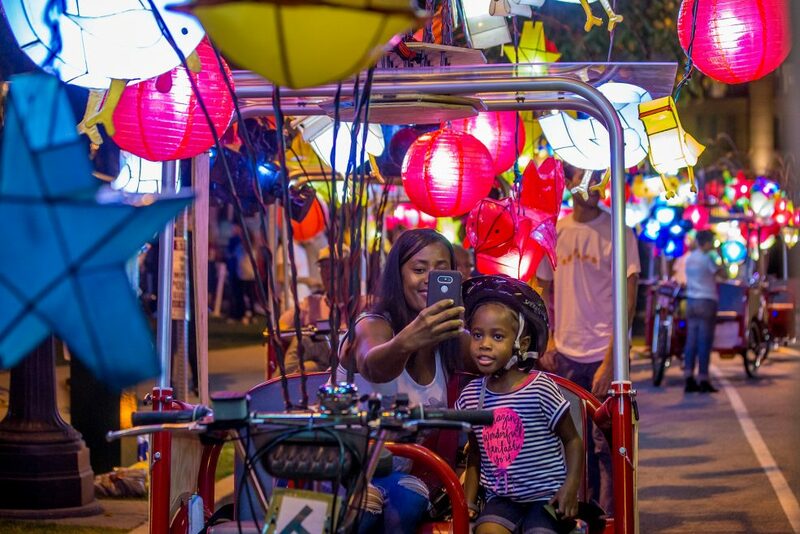 Cai Guo-Qiang: Fireflies(2017) on the Benjamin Franklin Parkway, commissioned by the Association for Public Art with Fung Collaboratives. Photo Jeff Fusco Photography © 2017. Barbara Hepworth's Rock Form (Porthcurno) (1964), acquired and installed by the Association for Public Art. Photo Alec Rogers © 2014 for aPA. 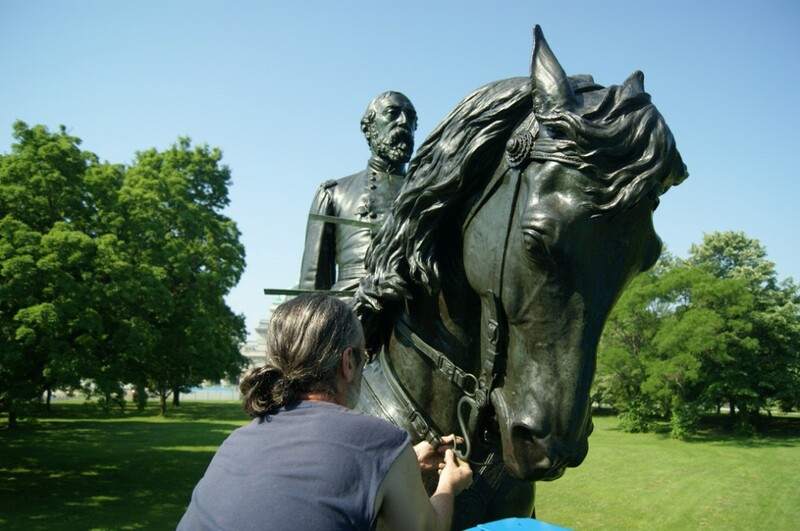 The Association for Public Art's conservation team repairing Alexander Milne Calder's Major General George Gordon Meade (1887) in Fairmount Park. Photo Caitlin Martin © 2013 for aPA. 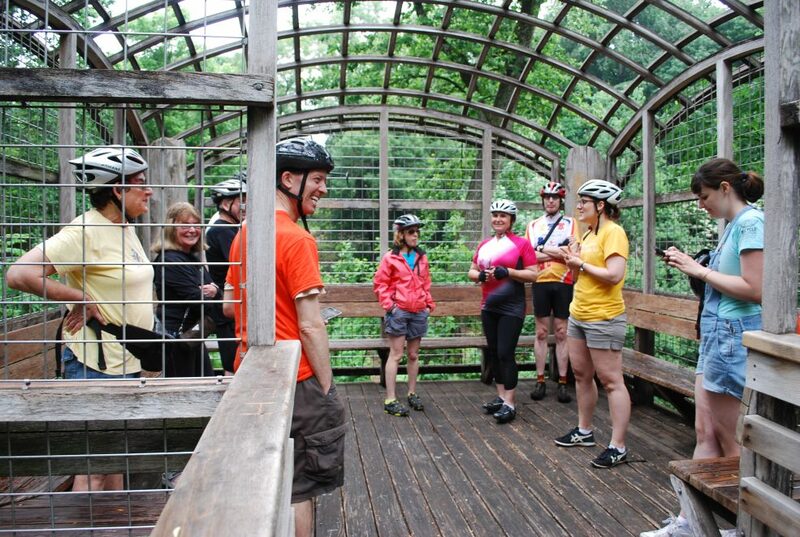 Public art bike tour to Martin Puryear's Pavilion in the Trees (1993) in Fairmount Park. Photo Ashley Lippolis © 2016 for aPA. 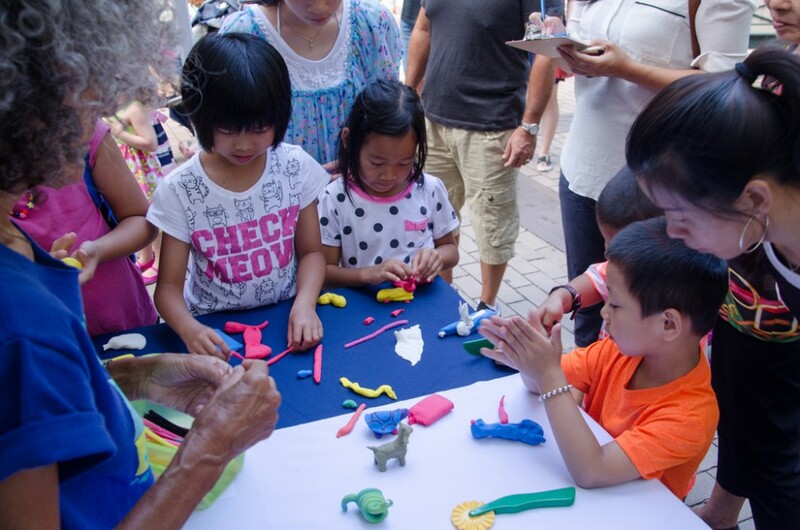 The Association for Public Art's Sculpture Zoo in Rittenhouse Square workshop. Photo Alec Rogers © 2015 for aPA. 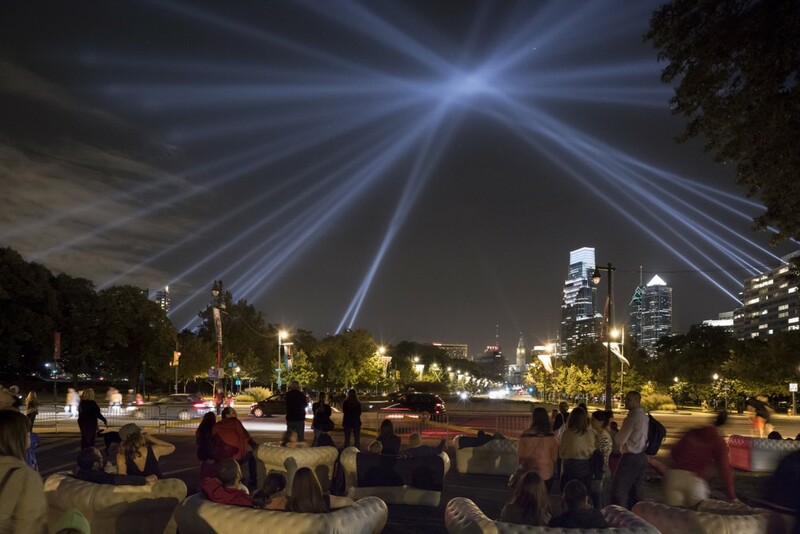 Rafael Lozano-Hemmer's OPEN AIR (2012) installation on the Benjamin Franklin Parkway, commissioned by the Association for Public Art. Photo James Ewing Photography © 2012 for aPA.